Millie & Elizabeth is launching the first capsule collection for AW18 and is very excited to be doing this at PURE LONDON on the 11th – 13th of February 2018. 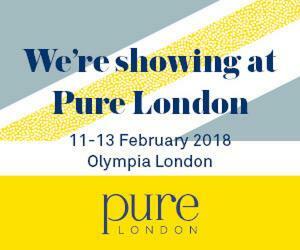 Please come and see us at stand F55 in the Pure Premium section on the ground floor. The collection is created in vibrant printed Silks, inspired by nature and landscapes. Please have a look at our website for more information and if you wish to make an appointment to meet at the stand, please email or call on the numbers provided below. We hope to see you at the show.